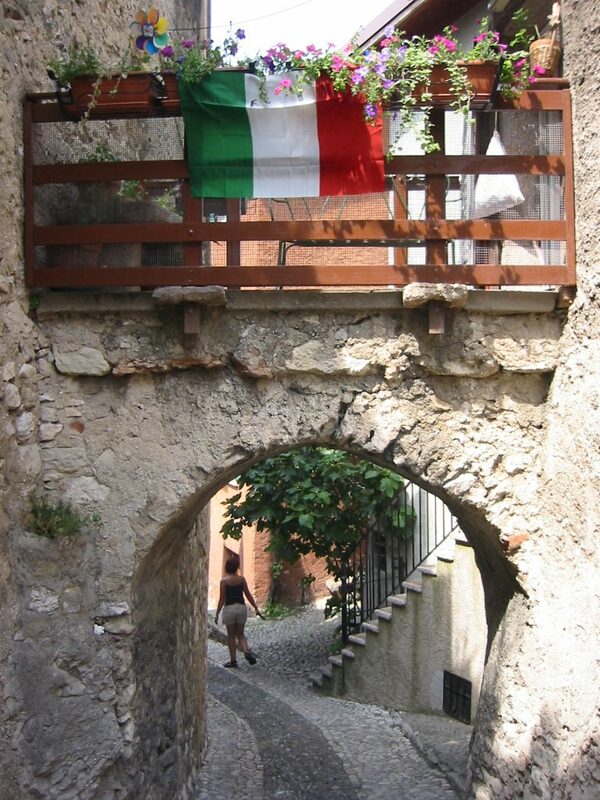 Italy has always been one of my favourite countries to travel in. 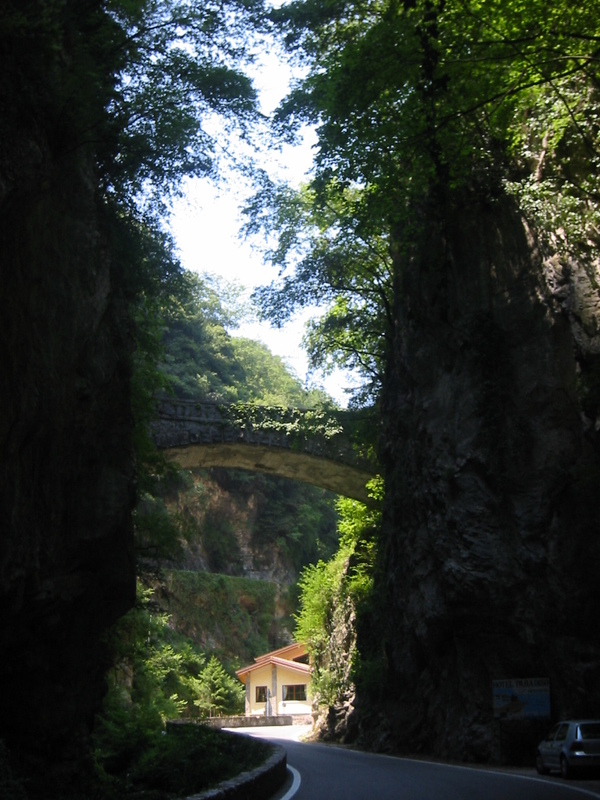 It has it all: good food, a rich cultural history and stunning nature. 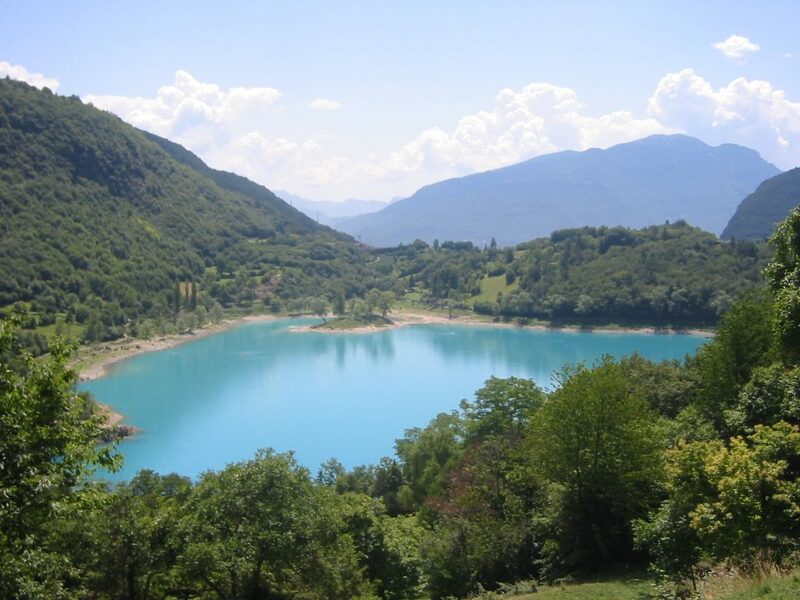 One of my favourite areas are the lakes of Northern Italy. 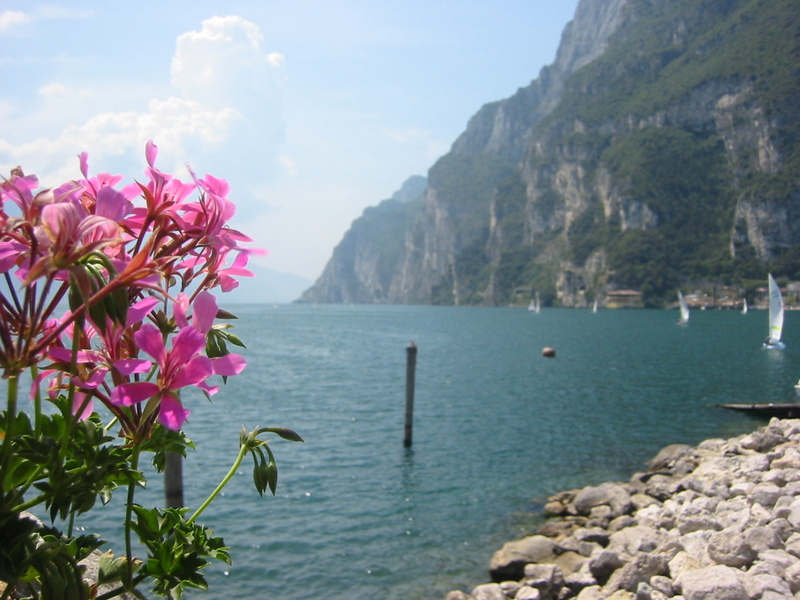 In this blogpost I’ll take you around the beautiful Lake Garda, or as the Italians say, Lago di Garda. 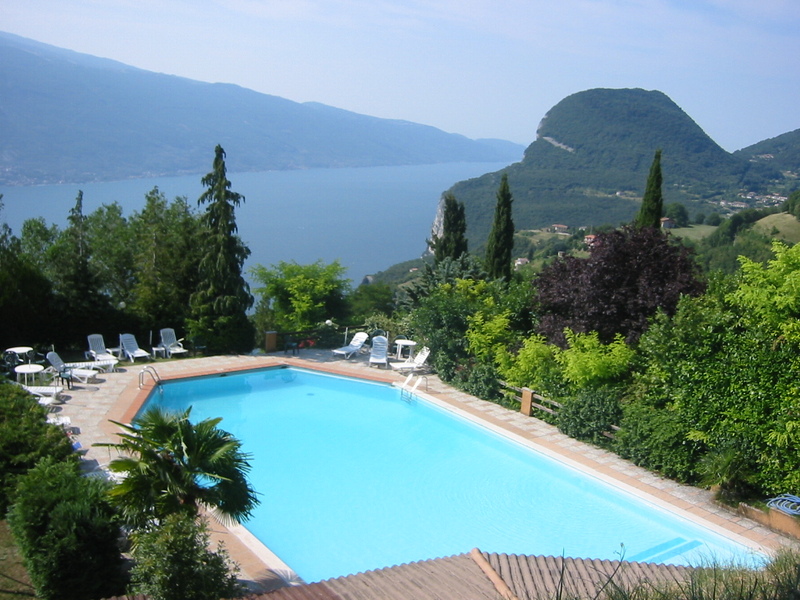 It’s the biggest lake of Italy, with a good 80 km of lake length in between the town of Sirmione in the south and Riva del Garda in the north. 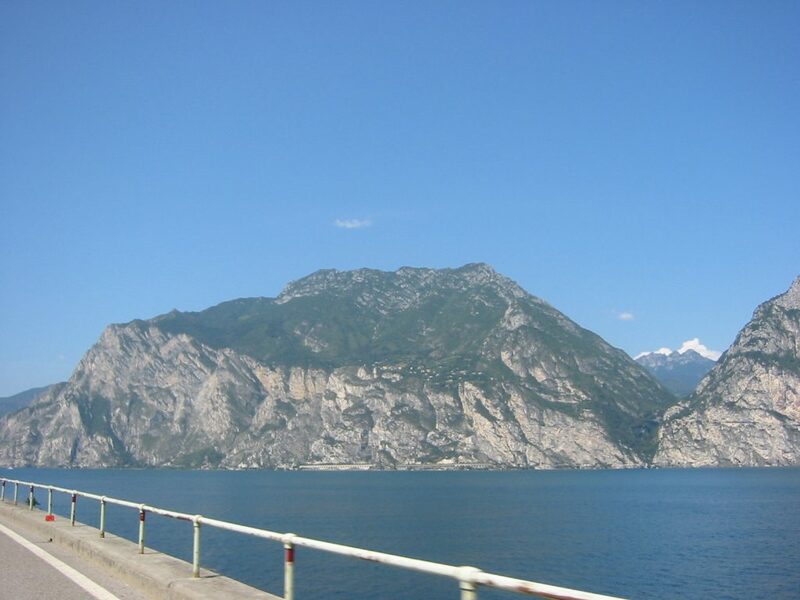 The lake is situated somewhat in the middle between Milan and Venice, with a good 2 hours drive to each of those stunning Italian cities. 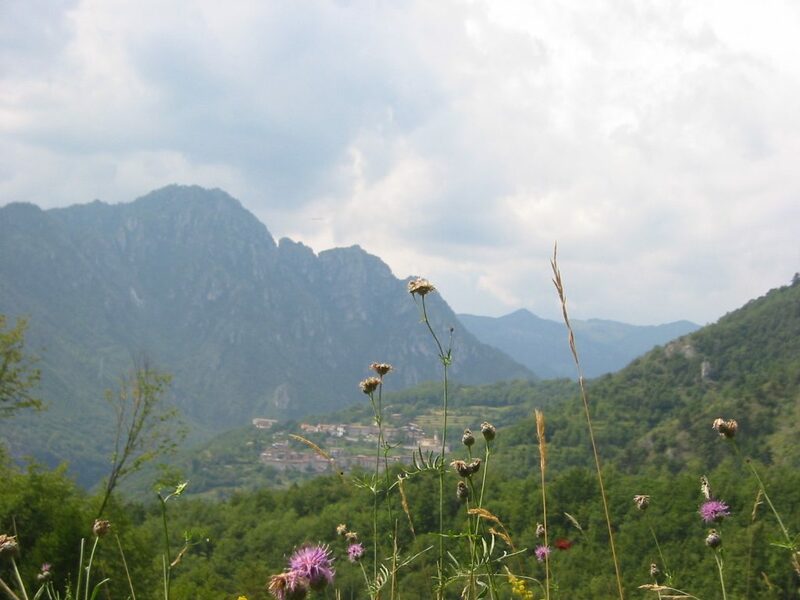 Closerby Verona makes a good excursion, located about an hours drive from the southern point of the Garda Lake. The lake is surrounded by mountains. 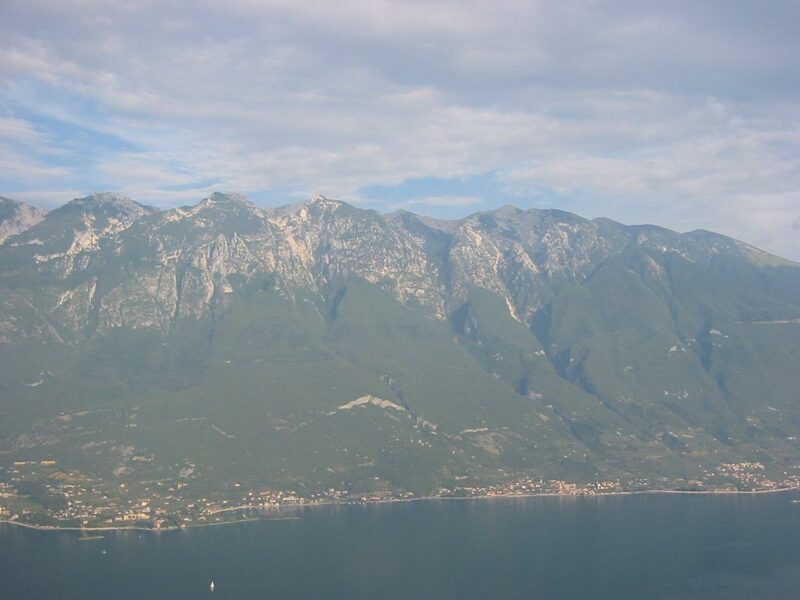 On the east bank you have the Monte Baldo mountain range, with peaks up around 2200 m. On the west bank you have steep rocks, forming a plateau, with mountain peaks between 1500 and 1900m behind that. 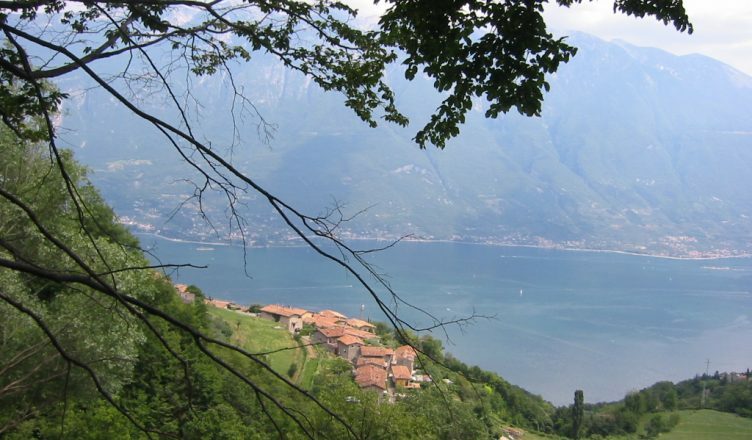 When you stay in Tremosine, you are greeted with spectacular views of the lake each day. 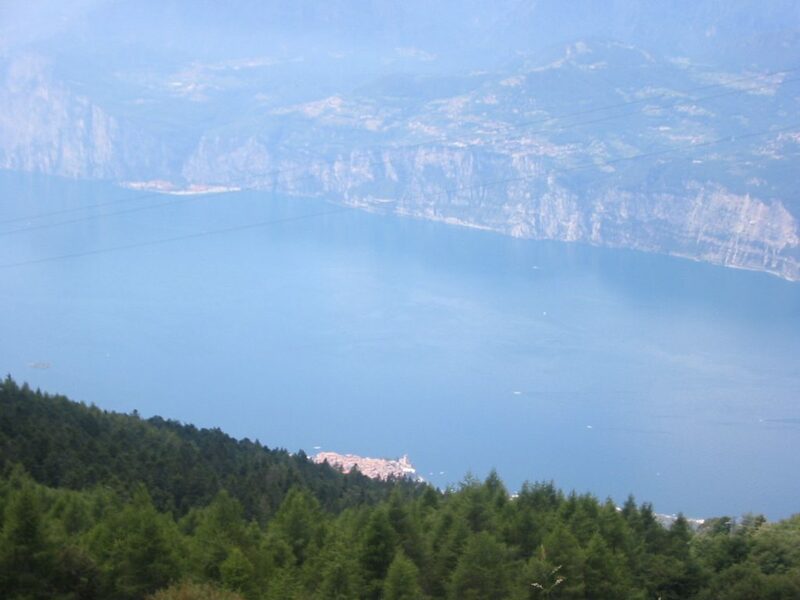 The Italian summer heat is bearable when you’re a little higher above the lake and you can enjoy the piece and quiet around you. We stayed at hotel Panorama, a nice family run hotel. 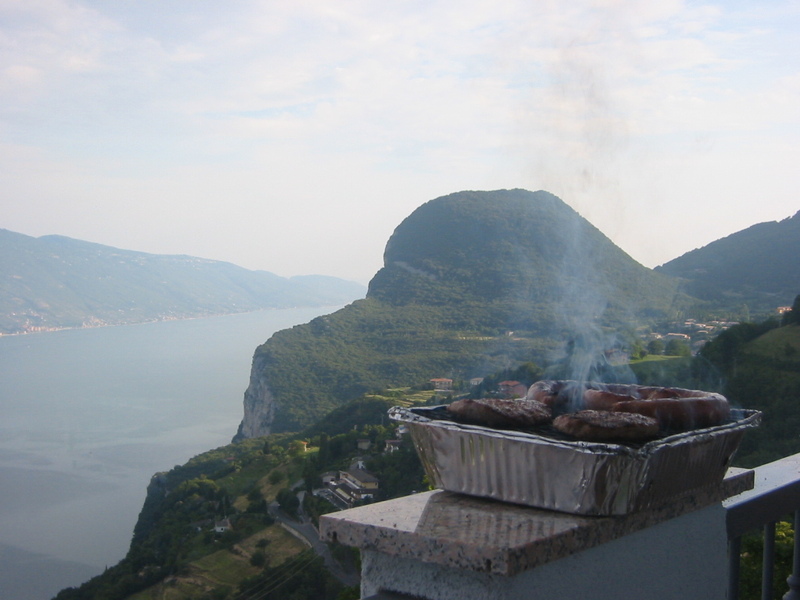 We rented one of the appartments, La Genziana, with our own balcony overlooking the lake – perfect for a summer barbeque! The hotel has a swimming pool and a lovely restaurant, so you don’t have to go all the way down to the lake for dinner if you don’t want to. A little tip: if you travel during July and August, try booking the first week of July. Italians usually don’t have holiday yet, so prices are more fair that period. You’ll need a full day to take a tour around the lake, which is a drive of about 160 km. You’ll be greated by stunning lake views along the road the whole day long, and ofcourse there are plenty of places where you can stop for a rest and / or a swim. 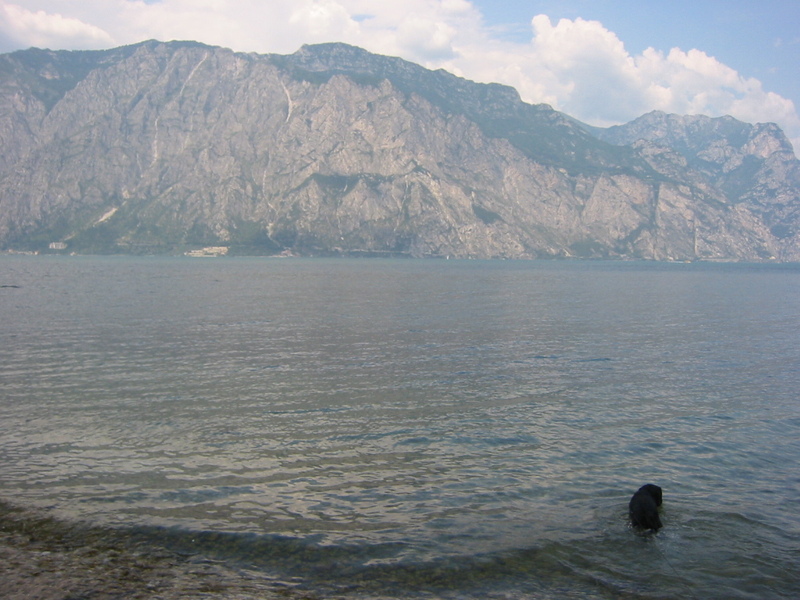 We found the nicest (and most quiet) spot to do so was between Riva del Garda and Malcesine. A little tip for your feet: take waterproof sandals with you, since the beaches are pebbled. Not only painfull for your feet, but also very, very, very hot on a summers day! For us this was our first stop along the way. 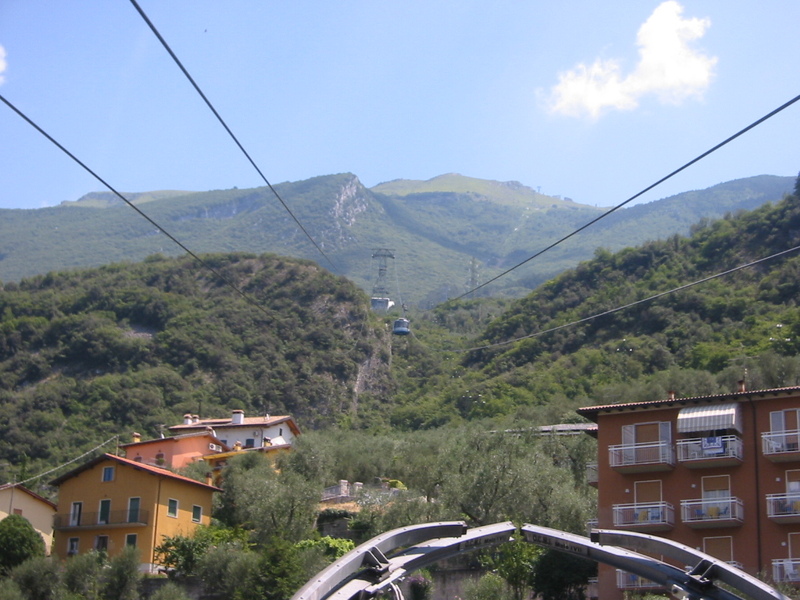 Limone is famous for it’s lemon products. You can find anything made with lemons there, but most noteworthy is ofcourse the excellent Limoncello, a strong lemon based liquor originally from the area of Napels. 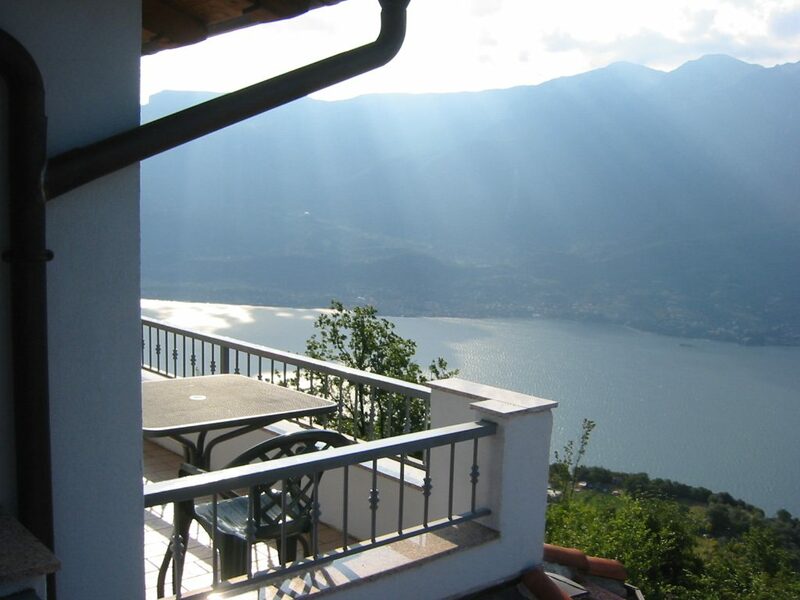 Located at the most Norhter point of the lake, where it’s at its smallest, you find Riva. 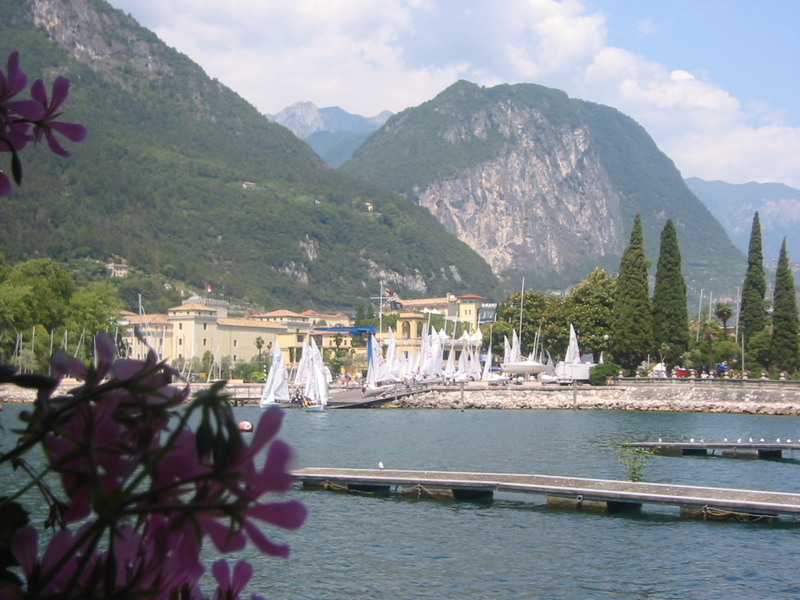 It has a great sail port, where a lot of the sailing boats you’ll see on the lake depart from. Be sure not to miss this picturesque town on the east bank. 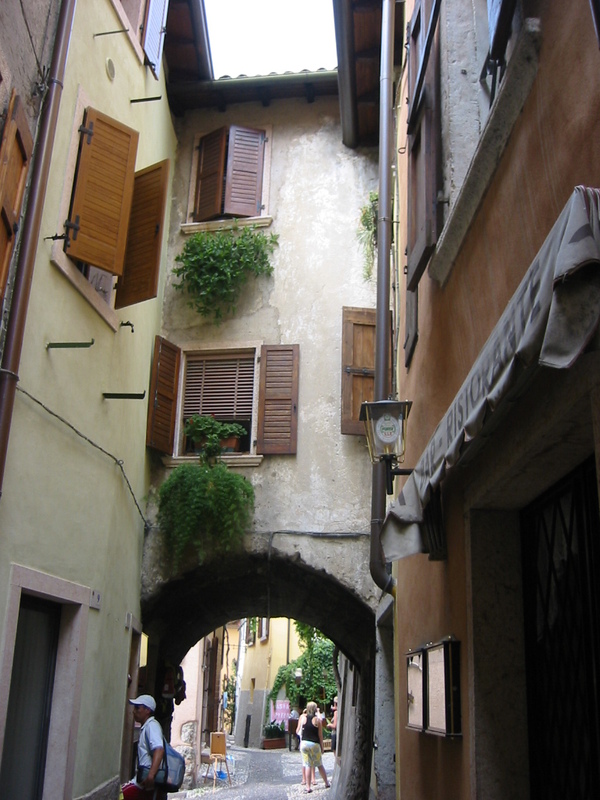 We strolled for a good hour along the narrow streets of this cosy little village – it’s soooo beautiful! 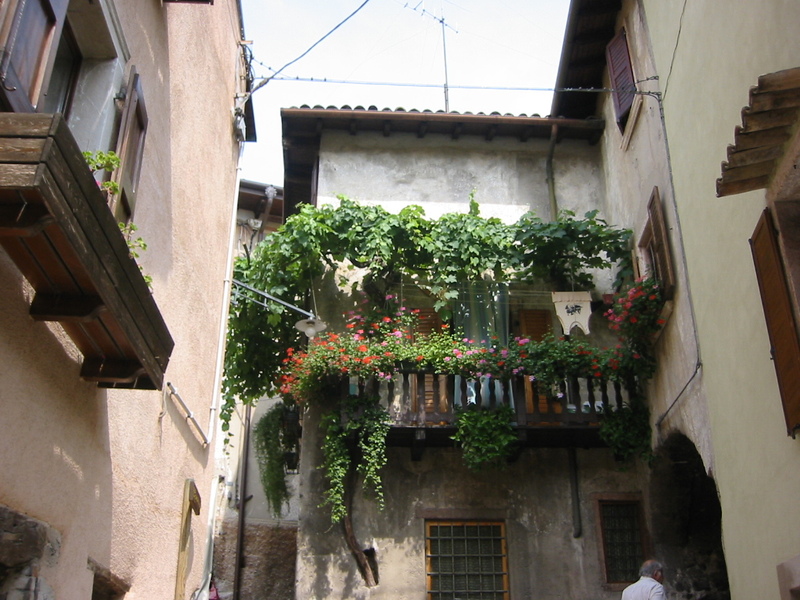 The most southern town on the lake, located on the peninsula at the widest part of the lake, is Sirmione. 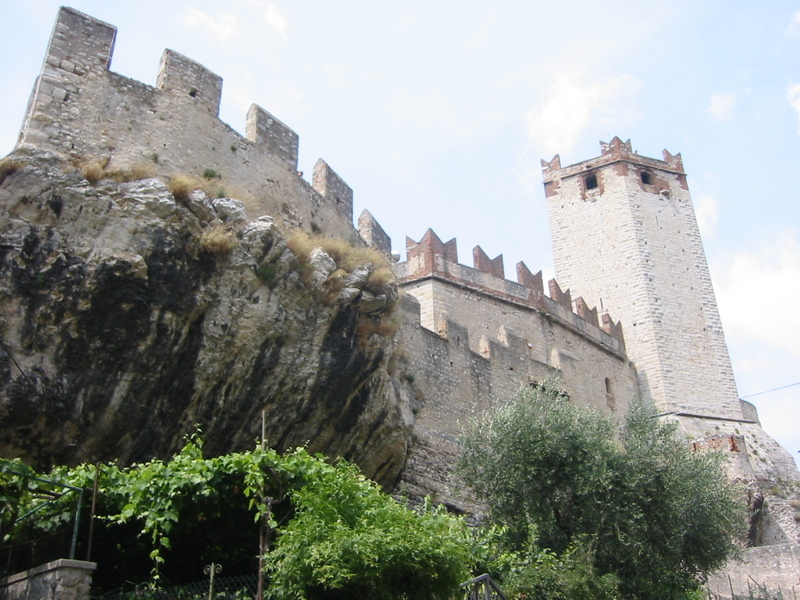 The town is built around the castel Rocca Scaligera, a 15th Century castle. It’s also by far the most touristy part of the lake, making the whole town very crowded. The area also has two spa’s, powered by natural hot springs in the lake. 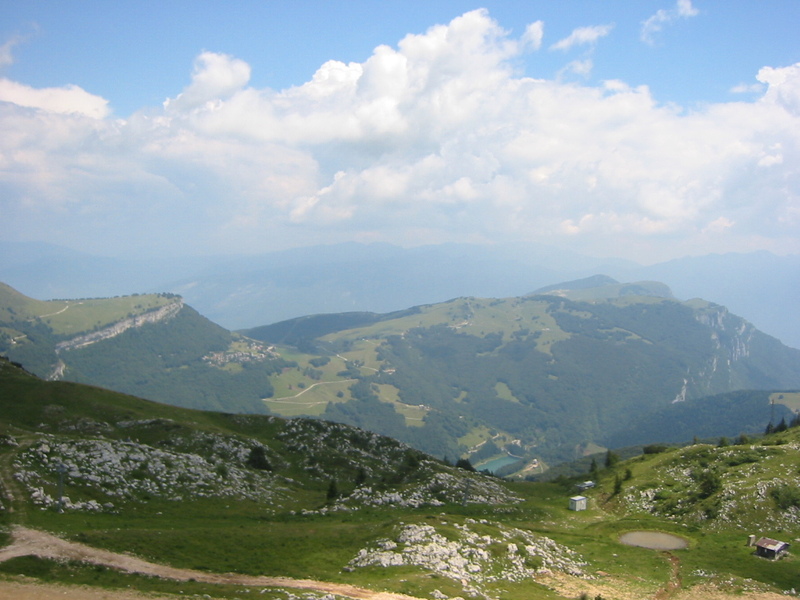 You can take the cable car up to Monte Baldo, where there are numerous hikes that start. You’re greeted with stunning lake views all the way. Bear in mind that during the high season it can get very crowded on the cable car – we needed to wait for over an hour to get on! 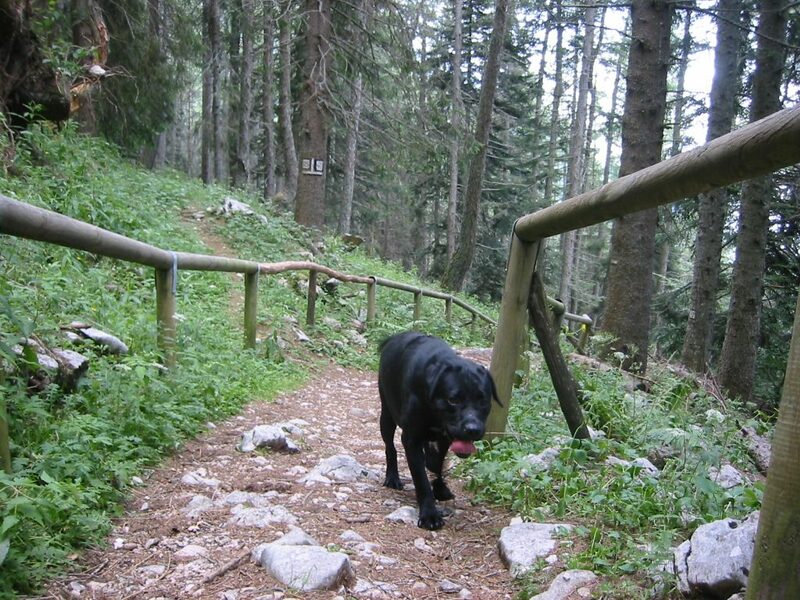 If you are traveling with a dog, like we did, you’ll have to have a muzzle for him. This applies to all forms of public transport in Italy. 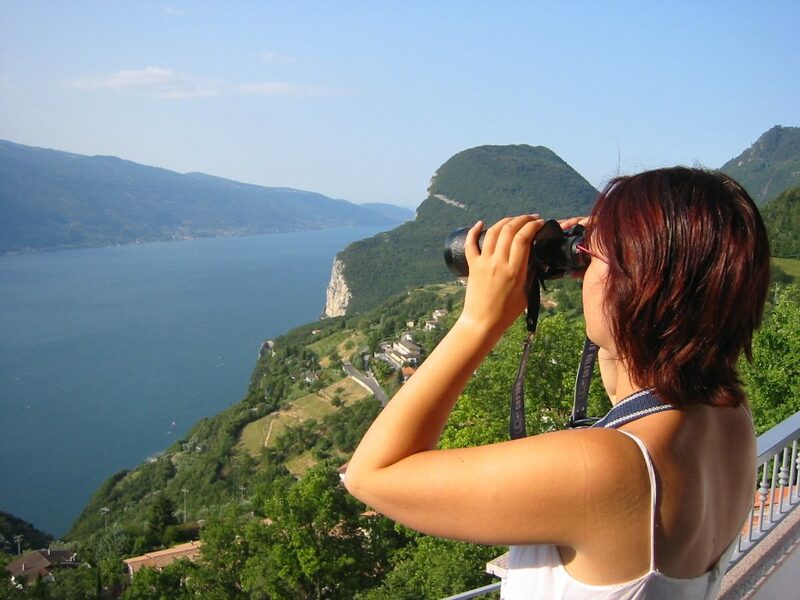 The beaches of the Garda Lake can get rather busy in high season. 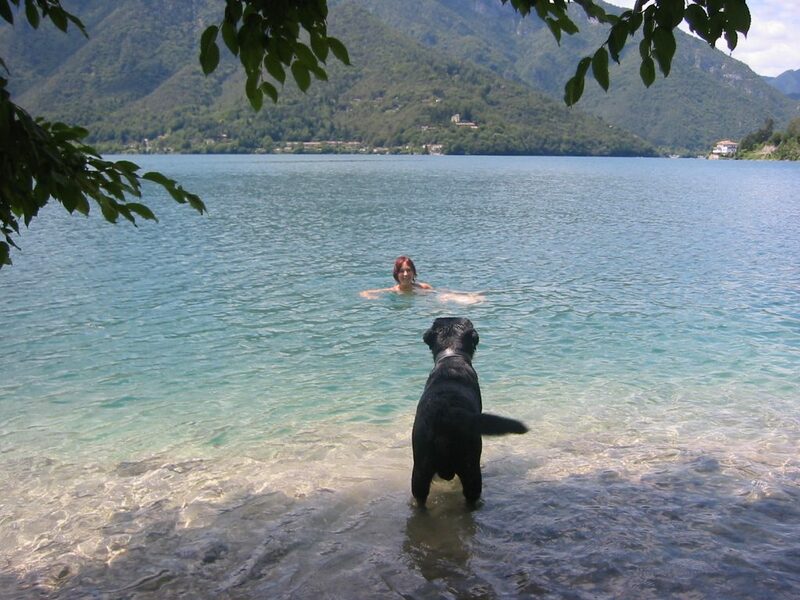 If you are traveling with a dog, like we did, we found that swimming with him was restricted in most spots. 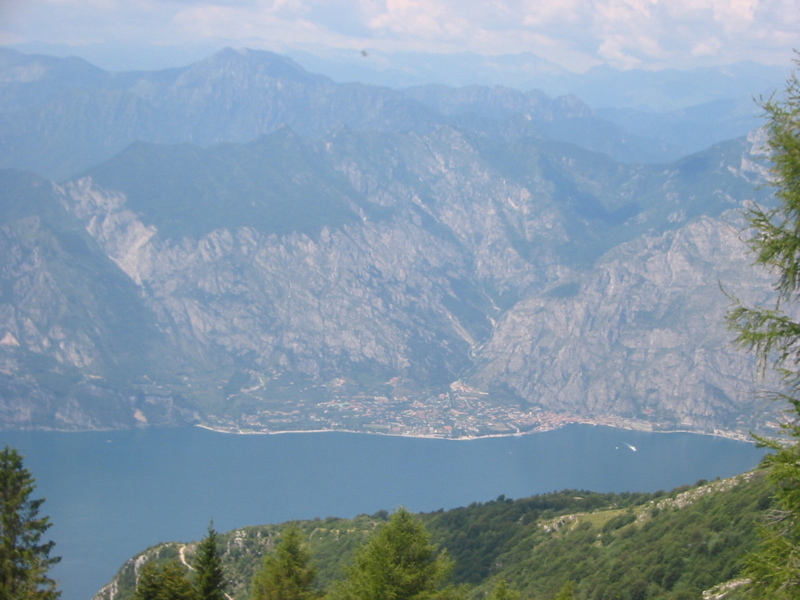 We asked around, and locals referred us to Lago di Ledro, only a 20 minutes drive from Riva del Garda. This smaller lake is practically abandoned. We spent several days there, swimming, reading in the shade and just relaxing. A great tip if you don’t like the crowded beaches! 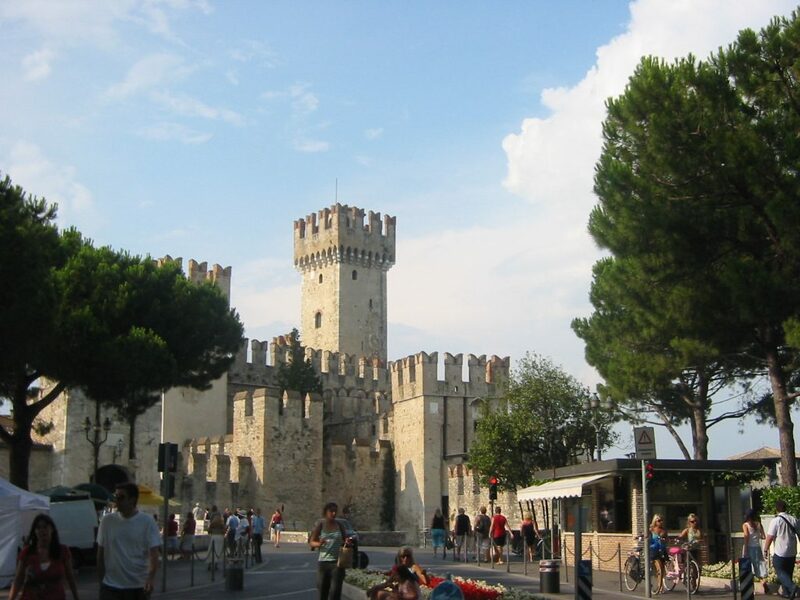 The Romans made Verona a fair city. 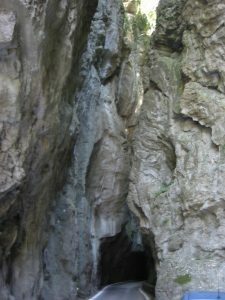 They used it as their homebase for their campaigns north of the Alps. 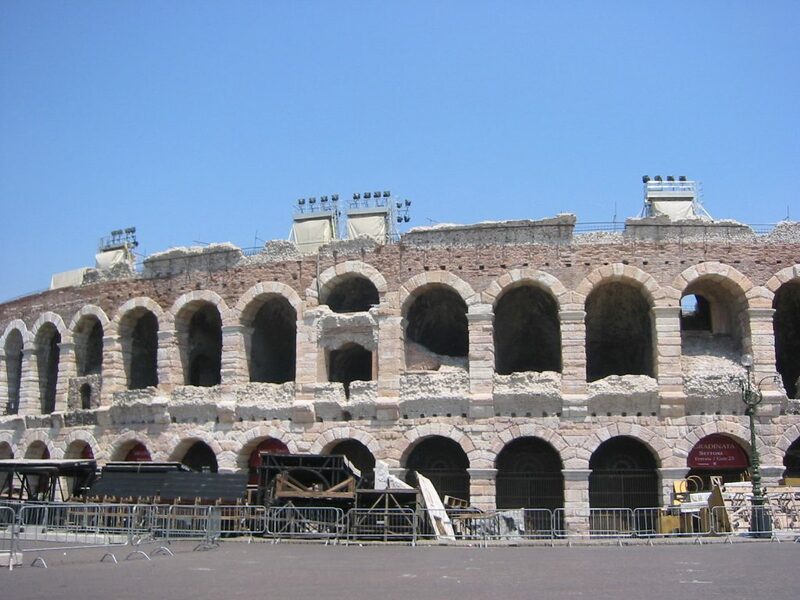 After Rome, Verona is the city with the most Roman remains. The most remarkable building is without any doubt the Roman Amphitheater, built in the 1st century. 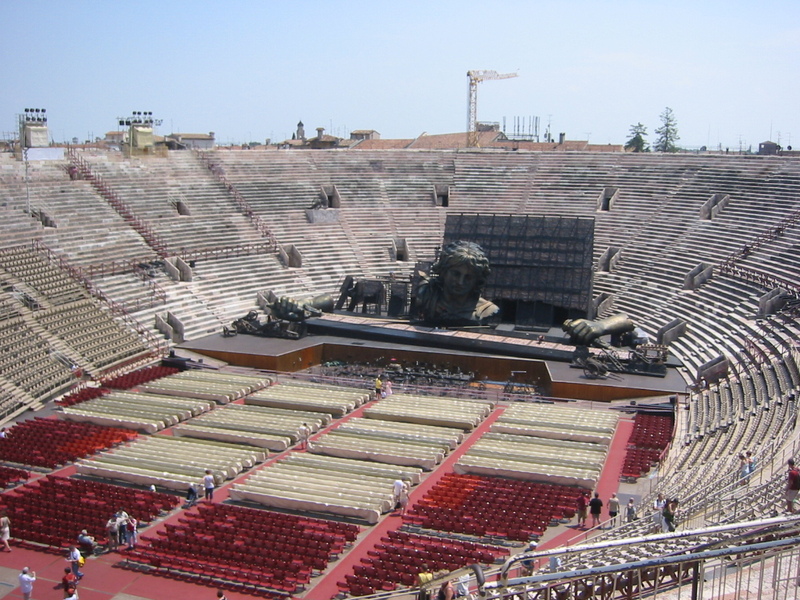 It’s the third biggest in the world (after those in Rome and Capua) and in excellent condition. 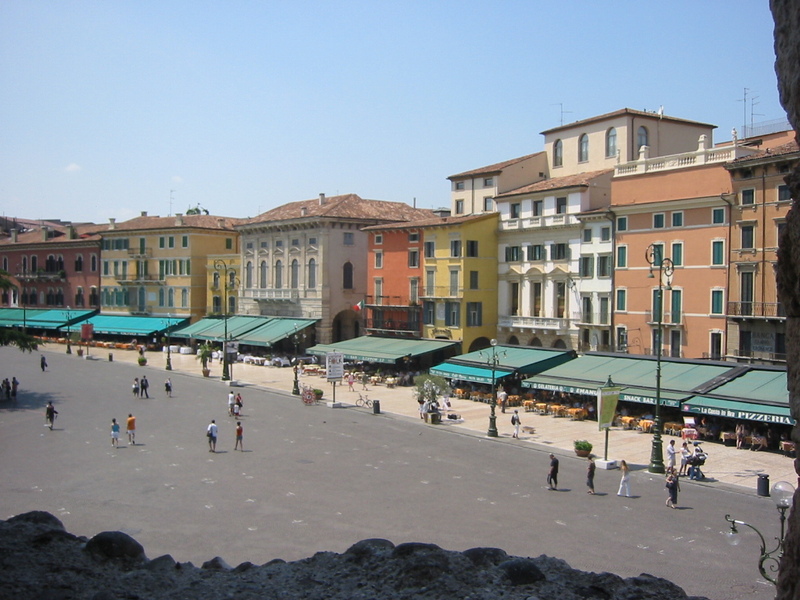 In more recent history, Shakespeare made Verona famous as the city of love. “Two households, both alike in dignity,in fair Verona, where we lay our scene…” – who doesn’t know the famous opening lines of this great story? And who hasn’t seen the movie with Leonardo di Caprio and Claire Danes? 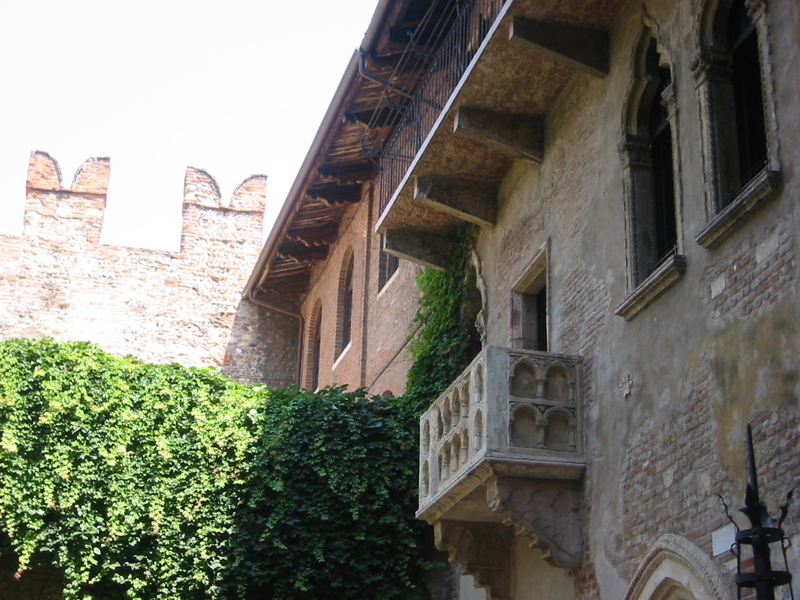 You can visit the homes of both Romeo and Juliet and you can also visit her tomb. Looking at those sun drenched pictures and thinking back on those refreshing lake swims, I’d almost pack up my bags and head back. We’ve got other plans for the near future though. In a couple of weeks we’ll be exploring Israel, and during the summer months we’ll most likely go camping in Sweden. If you decide to head to this beautiful region, let us know if any of our tips were any good to you – and please share your pictures with us on our Facebook page!